> Travel > Is your car road trip worthy? 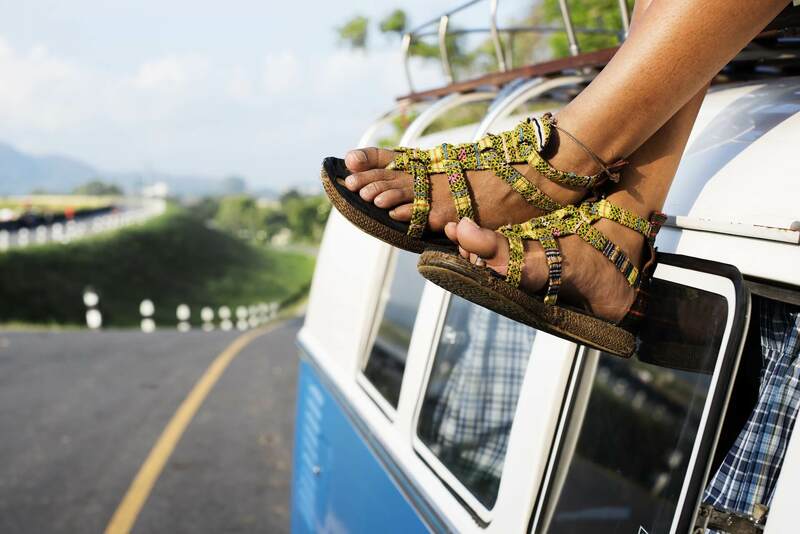 Is your car road trip worthy? If you’re like me, your road trips can be more of a spontaneous event, most often a weekend getaway. You get that sudden urge to go see someplace new, like the Grand Canyon in 48 hours (including travel time) and you make it happen. Or, a multi-state trip to go see Yellowstone and the Grand Teton National parks, which takes a bit more planning. No matter your road tripping style there are some important car maintenance questions you should ask yourself before any long trip, not necessarily in this order. When was the last time you had an oil change? I won’t say that road trips are the sole reason that my car would get an oil change, but they have often been the reason behind it. Not only do you get an oil change, but they also check other important fluid levels for your car as well. You can kill two birds with one stone here. Does my car need any other routine maintenance? There was a time where my car didn’t visit the dealer for far longer than it should have… If your car hasn’t had a routine maintenance check with the dealer you might want to do that before you leave. An expensive repair when you’re far from home can really put a kink in your plans. Are your tires up to snuff? You’ll want to make sure that you don’t have slow leaks and enough tread left on them so they can handle your trip. You also want to check your tire pressure as under and over-inflated tires have different problems. No one wants a blow-out on the road. 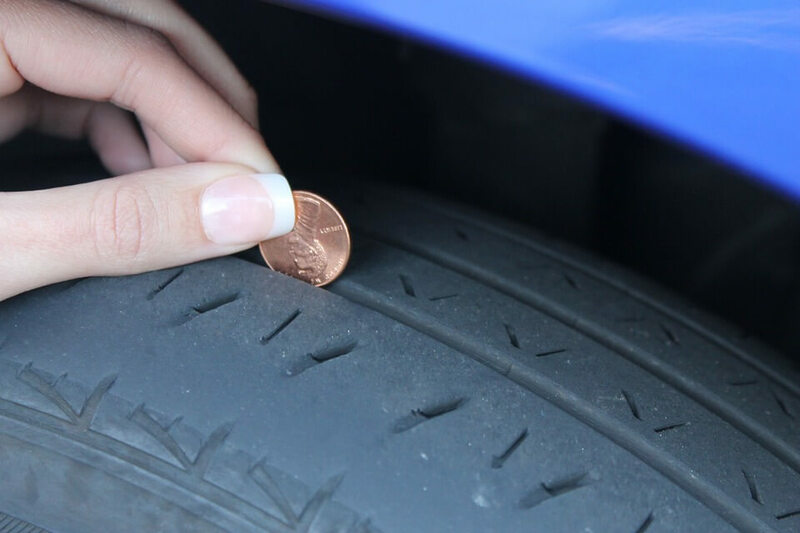 Penny trick for checking your tire tread thickness. Place a penny head first into several tread grooves across the tire. If you always see the top of Lincoln’s head, your treads are too worn. If this is the case, your tires need to be replaced. If part of Lincoln’s head is always covered by the tread, you have more than 2/32 of an inch of tread depth remaining. If you’ve noticed your car’s starting slower or if your battery is a few years old you’ll want to make sure that it’s ready for your trip. Check and see if it’s corrosion free and that the leads are on tight. Corrosion is chalky white stuff that forms on the terminals, if it’s there you’ll want to clean it off with a wire cable brush and tighten the leads. If you’re not comfortable doing this yourself you can always ask for help! Do you have a map or atlas? Not sure why you need a paper map? Hear me out. I know many of us have smartphones, but what happens if you lose your charger, don’t have mobile service or you break your phone? All of these things have happened to me at one time or another, and my US atlas has been a lifesaver. It also gives you a visual of how far you have traveled, how far you have to go and lets you see what towns are coming up if you need to make an impromptu stop for snacks or to stretch your legs. Will my dog be comfortable for the long haul? If you’re bringing your dog along for the ride make sure you have some of the comforts of home. Their toys, bed, and some blankets can make the long trip easier for them. Do I want to clean my car? Some people like to have a clean car before they go on a trip, kind of like those people who like to have a clean home before they go. I always pick up my car because there’s nothing like a road trip to create a bit of a mess, it’s inevitable when you’re in a small space for a long time. Is my wiper fluid full? This is something you tend to forget about until you really need it. Don’t be like me and run out while you’re on the interstate with trucks and semi-trucks tossing dirty snow and slush on your windshield. Remember to check before you leave, for your safety and peace of mind. What will you listen to? One of the best things about road trips is putting together a road trip playlist or mixtape. If you’ve got a few people going, you’ll want to make sure you’ve got music for everyone! No one likes a grumpy passenger.